My Milo is the same, loves toilet paper, tissues and papertowels more then food! 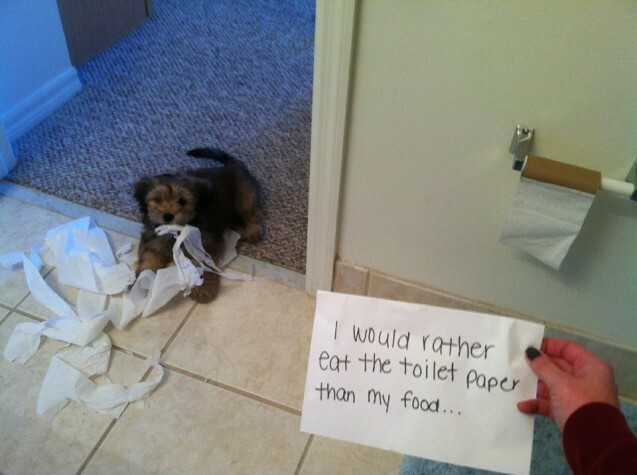 My mom’s Yorkie is the same way, except its kleenex. Its the cat who thinks it is great fun to play with the toilet paper. In our house it would be the cats getting the toilet paper.